Nursing School is Complete! : I can see the finish line!!! WOW! I haven't updated this in a really long time! I guess I have been pretty busy! Now the semester is almost over so I better get a move on writing! The last time I wrote I was anticipating my lab simulation experience. It was incredibly awesome! I really enjoyed it and wound up getting an A on my reflection paper. It was the most valuable and enjoyable portion of the class that I am not really enjoying in general. A two way speaker system was used so that someone in another room could speak for Helen (which was a computerized manikin) and also hear our questions to her. The manikin had a pulse, blood pressure, heart sounds, markings (bruising and the beginnings of a pressure ulcer), and dry cracked lips. It was a really great experience and I took a lot away from it. 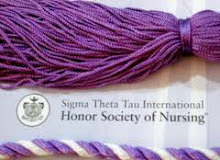 In addition, it really cemented the fact that I do indeed want to be a nurse! Thank goodness! I am now headed into the week before finals. I have one final on 5/9 and one on 5/11 then I am FREE for the summer! I have to say the semester sort of flew by. I am not sure how it went by so fast but it really did. I feel like I just started nursing school a few weeks ago! I am almost a second semester nursing student! Whoo-hoo! I have two Nursing 222 lectures and one Nursing 220 lecture left. I haven't really decided what I will do with regard to this blog over the summer. There will be no nursing school low down to report so I may just take a hiatus and return in the fall. 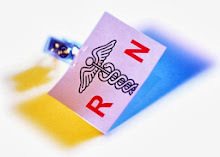 Of course, something always manages to happen in my travels that calls upon my nursing skills, so I may to report some of those if and when they occur.